The blaugranes are OK Liga champions for the 29th time. 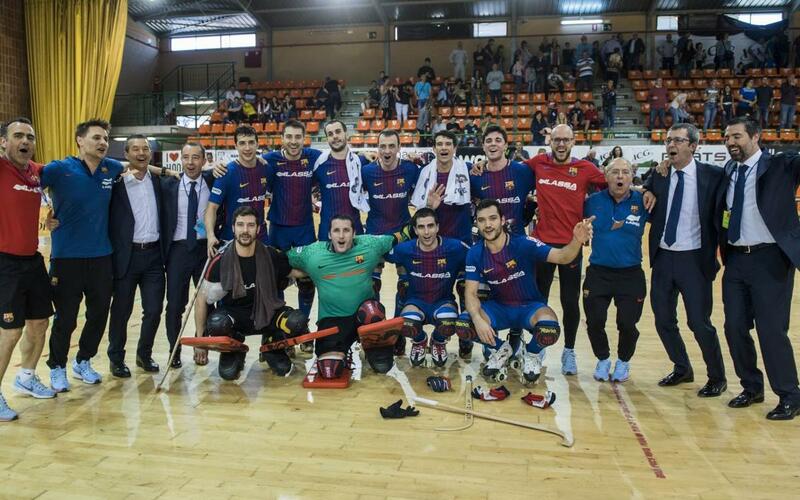 Barça Lassa secured the title on Sunday having beaten Lleida 4-2. The result means they are champions for the fifth season in succession and they are seven points ahead of Liceo. The opening minutes of the game saw both teams struggle to score while creating plenty of chances. The blaugranes went close first with Pablo Álvarez’s free kick which was well saved by Lluís Tomàs. The home side tested Sergio Fernández, who responded well and produced a couple of impressive saves. Moments later, the Barça keeper was injured and replaced by Aitor Egurrola. Then, the Argentinian Lucas Ordóñez broke the deadlock in the 21st minute for Edu Castro’s side. The blaugranes started the second half looking to consolidate their lead and secure the title. Marc Gual soon doubled the lead thanks to an assist from Pau Bargalló in the 32nd minute (0-2). The home team didn’t give up and they went close through Andreu Tomàs but Aitor Egurrola saved. Matías Pascual scored after 40 minutes to make it 3-0. Soon after, Andreu Tomàs pulled a goal back (1-3). Four minutes later, Lleida got back into the game as Xixi Creus made it 3-2 and the game had come back to life. However, Pau Bargalló secured the three points and the OK Liga with a perfectly executed free kick (2-4). The scoreboard didn’t move and the final whistle confirmed the 29th league title victory ahead of the Final Four game against Porto on 12 and 13 May.